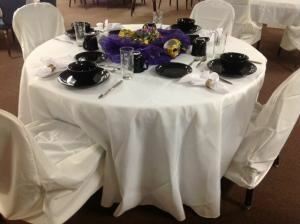 Beautiful banquet facility to host your wedding, wedding reception, banquet,meeting, conference, family reunion. Reasonably priced. Very beautiful banquet venue. Attended banquet with around 300 people and was comfortable. Room superbly decorated, great lighting. Good location. Perfect for wedding reception or conference as well.